In addition to our usual exciting elementary school assembly programs, “Be A Super Hero!”, “Be A Super Tester!” and”Be A Super Reader!”, I am offering a brand new program all about the amazing writer and illustrator Theodore Seuss Geisel, better known as Dr. Seuss. This program features magic tricks, puppets, comedy and drawing! 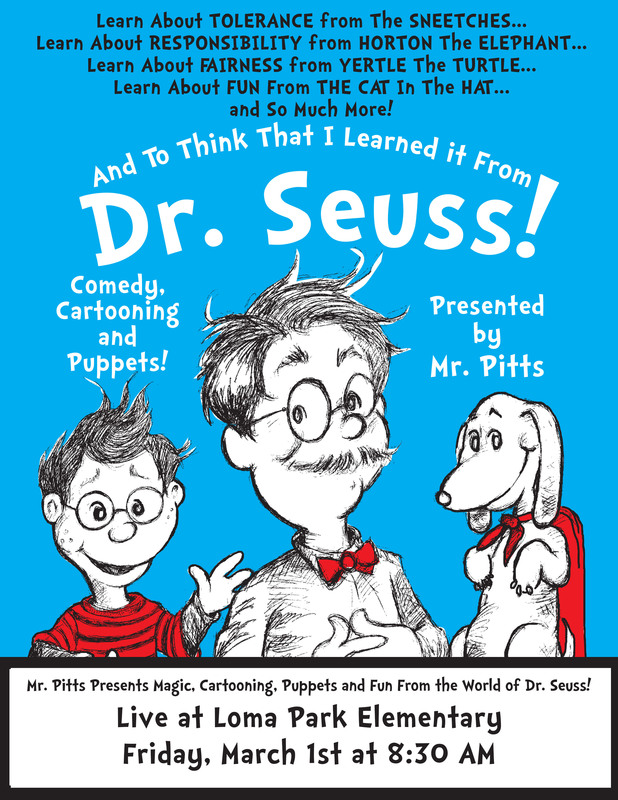 We’ll Seussify a student or teacher, drawing them in the style of Dr. Seuss, plus lear a lot about the life and art of this amazing creative force in the world of children’s books.